The Last Supper. Chocolate Store, the online candy store with chocolate and candy. 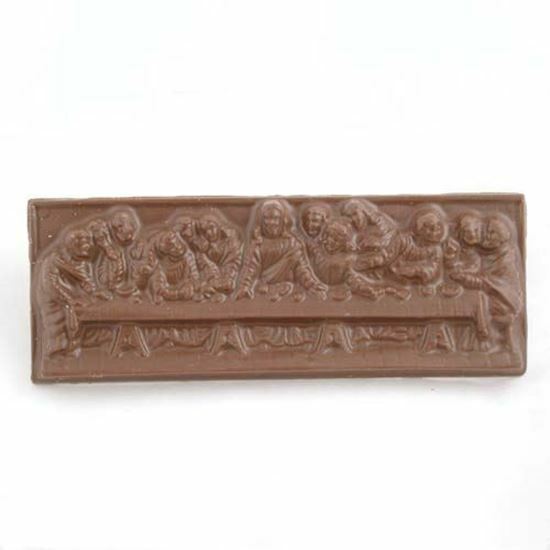 The Last Supper: a chocolate rendition of the famous Leonardo da Vinci painting in Milan, Italy. It represents the scene of The Last Supper from the final days of Jesus as narrated in the Gospel of John 13:21, when Jesus announces that one of his Twelve Apostles would betray him. Available in Milk Chocolate Only. Packaged in a clear cello bag with a handmade bow.